I knew we needed to crank it up and do something to say goodbye to 2014 and welcome in a New Year…. Even if we were going to watch the ball drop – in our pajamas – and in front of the TV! We were going to do it in style….!! So, grabbing my purse (and my husband) off we went to Rouses to look for something “decadent and delicious” to cook up along with a special bottle of the bubbly! First thought was – Lobster – boiled, broiled or stuffed…. Didn’t matter! Lobster and champagne… How much better could it get, right? Well, obviously we weren’t the only ones looking for lobster… The tank was empty! 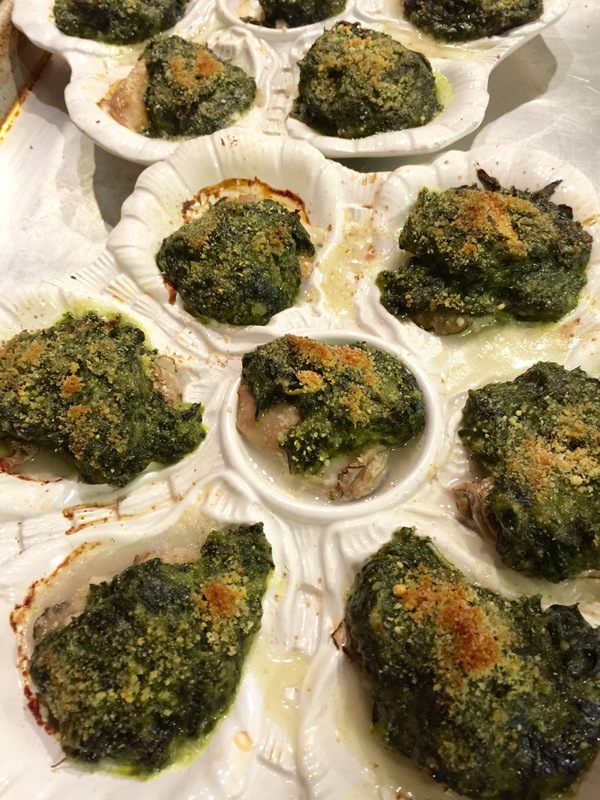 Quick second thought – Oysters Rockefeller! 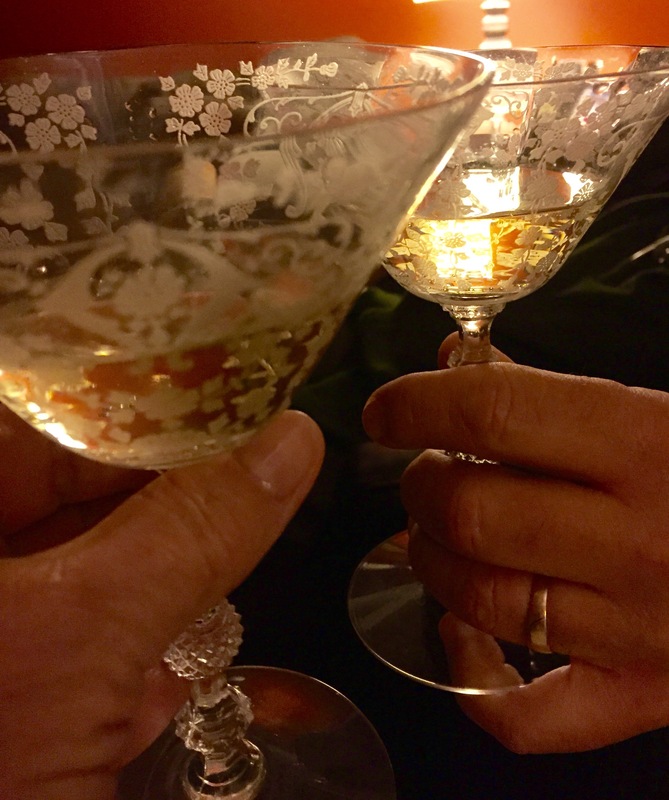 Yes, now it was Oysters and Champagne! And since it IS oyster season AND we both love oysters – perfect option…. This is my long time (from combining a lot of different sources!) 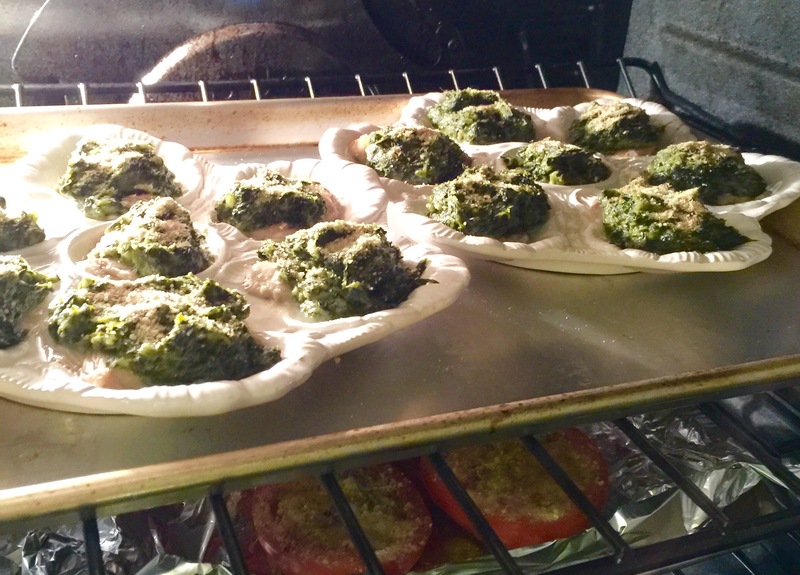 recipe for Oysters Rockefeller…. Place drained oysters either on oyster plates ( that can be placed in oven) or in a casserole dish. Now, if you are lucky enough to have freshly shucked oysters AND a grill going….. 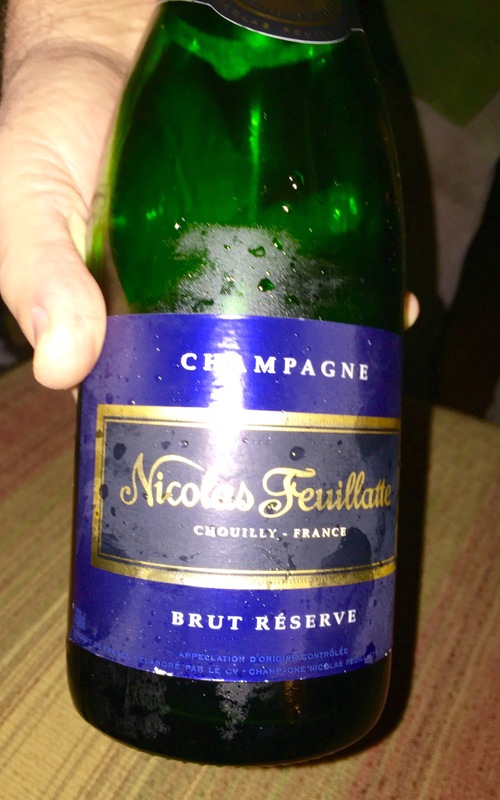 This topping is fabulous put over an oyster on a half shell and grilled until bubbly! The smoked flavor is the best…. This recipe has been a hit for family and friends for years… Decadent for New Year’s Eve – or any time…Happy Days!!!! Thanks! Happy New Year to yall!